Series 1 Apple Watch Bezel Case Rose Gold Plated Lab Diamonds 42mm by Brumar at Kode Fu Guru. MPN: awatchchannelRG. Hurry! Limited time offer. Offer valid only while supplies last. 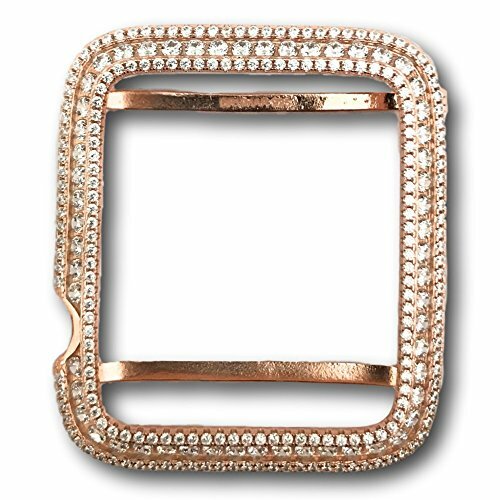 Style your Apple iWatch with this well-crafted sparkling bezel case in lab diamonds. A fashion statement that will compliment your look! Base metal .925 silver with high-quality plating in rose gold. Lab Diamonds in pave & channel setting. 42mm (large case) fits apple watch series 1. If you have any questions about this product by Brumar, contact us by completing and submitting the form below. If you are looking for a specif part number, please include it with your message.